I have scheduled a few blog posts for after my baby is born. This is one of them, I am really not that productive when I have a newborn! I think it's fair to say that I became obsessive about sewing my daughter Oliver and S dresses the week before the scheduled birth of my third child. I know I have felt stressed and anxious about the event, and have worried that I will really give up my sewing hobby for quite a while once I have three children under the age of five. In deciding what to focus on in the last few days that had some "free time," I felt strongly that making Charlotte some new clothes would be a good use of my efforts. She's only going to be a little girl for so long and she really likes what I make her. I have so many bags and quilts, and didn't want to start a brand new, long term project. This Family Reunion pattern was probably the most difficult Oliver and S pattern I've done yet, but I adore how it came out and I am sure I will revisit it again. I used some Briar Rose and a pink solid from my stash. I love the fabric choices but I am sure it won't be her favorite dress because it doesn't feature any kind of animal. (Yes, she is sitting on a "bench" that is really meant for flower pots. Not too comfortable but she couldn't be dissuaded). I was scared of doing pin tucks for the first time but it was the collar that gave me the most trouble. I think it was the stiff texture of the pink solid that was the problem. I love the look of the buttons down the back. I also love how easy it is to make buttonholes on the sewing machine, I am definitely not afraid of that feature anymore. I hadn't really planned to make another Rollerskate dress, but I had already prewashed this Japanese Snow White fabric and there wasn't enough material to make a Family Reunion dress out of it (my original plan). So I whipped this up fast, using a Chicopee print for the collar. So here they all are: five Oliver and S dresses made in seven days. The funny thing about them is that she has been excited about each one, but still wants to wear that darn Lizzy House catface Rollerskate dress! Kids like what they like and Charlotte can be particularly stubborn. In case you are curious, here's my personal rating of difficulty for these Oliver and S patterns, from easiest to most difficult: Rollerskate, Hide and Seek, Library, and Family Reunion. None of them should scare you, they are all a lot of fun and this week of crazy sewing really helped me come to peace with my serger. 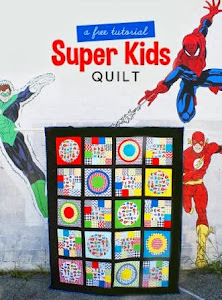 Linking up with Crazy Mom Quilts at Finish it up Friday. I had a baby boy last Monday, May 18th. We decided to name him Owen Alexander. His birth weight was 8 lbs, 6 oz and he is 20" long. His gender surprised both Nick and I. Nick had been convinced throughout the pregnancy that he was a girl. I was more unsure and didn't have a strong opinion either way until the week before he was born: I had a very vivid dream that I had given birth to a dark haired girl. Instead, we had a sweet light haired boy! Gregory is particularly thrilled to have a little brother and Charlotte has expressed some disappointment. Nick and I, of course, are completely smitten and I am so relieved that he is so healthy. Without having had gestational diabetes this time around, my pregnancy was monitored a lot less than what I had been used to, so it felt like a lot less was known about his growth and development in the womb. I have had my mom in town to help with everything and I am very grateful. Recovery has been particularly difficult and obviously I have my hands full with my two older children. 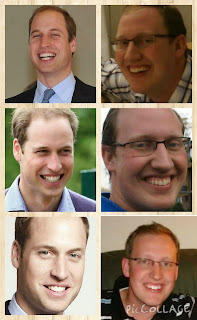 My husband is also taking quite a bit of paternity leave to be home during this time. I kind of sewed like a maniac before Owen's birth, so there are a few scheduled posts sharing those projects. I know I will be able to return to my favorite hobby periodically but I am not pressuring myself to do anything I don't have the time or energy for right now. I am also making a concerted effort to really enjoy this baby - I really struggled emotionally after having my second and I think Owen will probably be our last child- so I really want to savor this special time and not get caught up in WIPs and starting new projects. I am excited to share another recent finish. This is a 70 x 90 quilt I made for my daughter with the collection of Ann Kelle Girl Friends fabrics I've been collecting. I also used lots of stash fabrics and scraps to create a rainbow, bright look. This pattern was created from a block I found in Quilty magazine. I understand that it is a traditional block design that has been around for a while but I like the updated look it has with the fun fabrics. I paper pieced the four corner units of each block to save time and achieve better accuracy. I quilted the top on a Gammill Statler Stitcher, choosing a circular pattern with a pink thread that matched the Kona Peony sashing. I used a big chunk of Michael Miller "Candy Stripe" from my stash that I've had for about eight years. As I've said on this blog before, my early foray into modern fabrics involved a lot of rainbow prints that I now find difficult to use. Knocking out six+ yards of this stash fabric felt so good! I bound the quilt in a rainbow dotty print. This quilt came together came together like a whirlwind at the most recent Front Range Modern Quilt Guild retreat. The idea to use a unique combination of Melody Miller typewriters and other designer favorites was inspired by Nicole's amazing hexie cushion for the 2014 Sewvivor competition. I've also been intending to make a swoon quilt for ages and loved being able to alter the pattern to accommodate large scale prints and eliminate several tedious half square triangle units. I used stash fabrics to create this 90 x 108 quilt, buying a small amount more for prints that I only had a fat quarter of. I am particularly happy with my choice of black scrappy sashing and borders- it's a lot of fun in my opinion. This quilt almost went into the proverbial "will be quilted someday" pile because of my confusion on how to quilt it. I had many friends encouraging me to splurge on custom long arm quilting, but when I looked into that option, I learned it would probably cost me at least $500. I also worried that an all over design might not do the design justice. But then I came across this post by Angela Walters, and her statement won me over, "The one thing that I love about [the Swoon] quilt pattern is the large scale of the blocks. The fact that the blocks are so large means that an allover design won’t take away from their beauty!" I also felt that my choice to use only prints in the quilt really would minimize the "wow factor" custom quilting generates when it's executed on solid fabrics. After finally mentally resolving my dilemma, I went to Jukebox Quilts in Ft. Collins and rented time on a Gammill Statler Stitcher. I was disappointed in the geometric/modern quilt designs available to me, but eventually settled on the "Scratch Modern" pattern. I was about 35 weeks pregnant and it was a very long day getting this quilted. When I was done and back at my sister's, I laid down for three hours. I was exhausted! I backed this quilt in a large cut of Hope Valley from my stash as well as some random stash (black) prints that I didn't think I would miss for other projects. I really had wanted to go with something much more fun, but decided to use the money for quilting and not buy more fabric! I bound the quilt in Joel Dewberry's True Colors woodgrain teal fabric. I hope focusing on my thought process in choosing a quilt design is helpful. I think it's easy to get excited about all of the amazing custom quilting that so many talented artists provide. But if it's not in the budget or if our fabric choices are really busy, an all-over design is perfectly acceptable. I once heard a traditional quilt store owner explain that new quilters really get sucked into modern quilts and the amazing quilting featured in patterns and books- but the "$5,000 quilting" is truly what makes the quilt and may not be achievable for beginners or within their budget to have someone else do it for them. As I worked this all out for myself, I ultimately had to take another piece of advice I've heard from Angela Walters, "A finished quilt is always better than an unfinished quilt top." 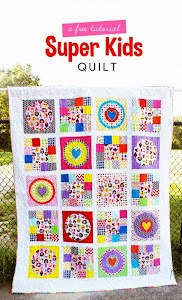 Linking up with the Large Quilts Category at the Blogger's Quilt Festival hosted by Amy's Creative Side. Thanks for stopping by! I couldn't help but quickly revisit the Hide and Seek dress pattern, using unicorn and geometric fabrics from my stash. I eked this 3T out of just 1 yard of the unicorns, skipping the pockets in favor of saving time as well as a lack of fabric. This Japanese "doll kitty" fabric from Pink Castle Fabrics was too cute to resist for my pink/cat loving daughter. I think it's almost too sweet but she loves it. My machine has really been acting up: sewing on it's own intermittently without me pressing the foot pedal. Sometimes it goes really fast when it does this and it's driving me nuts. I am told it could be a computer problem, which really scares me because that is a problem that essentially "totals" a sewing machine. I am not sure when I can get it looked at due to the extra budget considerations and busyness accompanying the new baby. So I decided to grab some more Lizzy House Catnap fabric to make the Oliver and S Hide and Seek Dress. I feel so intimidated when I am about to try a new pattern, but my fears were definitely unfounded. This felt like a really easy sew and I really enjoyed making it. Charlotte really loves it, I let her try it on before the sleeves were attached and she would not take it off. When it was finished, she wore it till bedtime. This dress has lots of fun details: large front pockets and sleeve cuffs. If I skip the pockets on the next one, it really will come together much faster. But I am not sure what I am going to do because my daughter really loves pockets on her dresses. Oliver and S patterns are a lot more expensive than the $1 specials on patterns you can often pick up at Joann's but the extra money is really worth it, in my opinion. The patterns are so thorough and well written, I've never taken a class on garment sewing and I feel so accomplished that I have been able to make cute, wearable clothes for Charlotte. I should also point out that it's not difficult to find Oliver and S patterns on sale. Signing up for the Oliver and S newsletter often avails itself to significant savings, especially on Black Friday. I've gone through my patterns and fabrics and am preparing to make three more dresses, hopefully before the baby comes. I know I am being over ambitious and there's a lot to do besides sewing within the next week, but finishing this dress gave me a huge psychological boost and I am craving that satisfaction again. I also know I am going to be SO busy when the baby comes and Charlotte is only going to be a little girl who loves what I make her for so long. I finally invested in a grown-up pair of scissors with a Joann's gift card I had. The scissors I have been using are at least a decade old and are very dull. They're the kind with a spring and the springs have stopped functioning too. Hopefully cutting out all the pieces for these dresses will feel less like a chore now. To win, please leave a comment on this post before Sunday, May 10 at 5 pm PST. International entries are welcome. If you want to just say hi, that is fine. If you have any baby name suggestions for me and feel so inclined to give me a suggestion (boy or girl- we never find out the gender ahead of time), that would make for fun reading for me. Only thirteen more days till our family welcomes the little one and I cannot wait because I am so sick of bring pregnant!!! Another entry for following me on my blog (via Bloglovin, Google+, etc.) or on IG (@dresdenlane) is also available. Just leave another comment letting me know this. Thanks for stopping by and good luck with entering all of the giveaways. The random number generator chose #13, Christine Sullivan. Thanks to all for participating and giving me lots of great baby name ideas. I have really missed sewing and this space lately! I have had some non-serious health issues towards the end of this pregnancy that have really interfered with doing anything besides lying in bed. Amazingly, I was spared gestational diabetes with this one (had it with my first two) but it's still not been smooth sailing. I finally feel better today and am happy to be able to do a quick post here to catch up. A few weeks ago I finished up two large quilts by renting some time on a long-arm in Ft. Collins. I've decided to save the posts for those finishes for the upcoming Blogger's Quilt Festival. Stay tuned! Just after my trip to Ft. Collins, I had the pleasure of attending a mini retreat with a small group of friends from the Front Range Modern Quilt Guild. We rented a house in Colorado Springs and sewed and socialized. The sweet girls threw me a surprise baby shower on that Saturday night. My friends made me these baskets filled with baby supplies and I also received boxes of diapers and gift cards. It was so unexpected and generous. I really haven't gotten much for this baby and it's a little depressing to think about all of the baby stuff I had to leave behind before we moved- so this was especially appreciated. Several hours after the baby shower, I made the difficult decision to go home early from the retreat. I just really wasn't feeling well and was unable to accomplish anything anyhow. The only thing I did was cut out the lining pieces and quilt some panels for a Weekender bag. It was so sad for me: retreats are my super productive happy place!!! And this was the last one for me till the baby is weaned. I also pulled out these leftovers from my Penny Patch quilt and made a 20" square destined to be a pillow.... maybe in time for SMS Giveaway Day......? And just for fun, I will share this hilarious mosaic a friend shared with me to illustrate her belief that my husband looks like Prince William. He's actually been told this about a dozen times before, usually by women in their 60's. Finally, with lots of boredom resting, comes lots of internet surfing on my phone. I really liked this post about stashing fabrics and this one about a "shrink test" with specifics on various fabric companies. I will confess I also did a bit of online fabric shopping, I will share my spoils soon.